Tata Steel is in talks with an investment firm to sell its Long Products business, which includes plants in Scunthorpe and Lanarkshire. Greybull Capital has signed a letter of intent to try to reach a deal to buy the business, including mills in Teesside and Northern France. Tata Steel said it was "too early to give any certainty about the potential outcome of these discussions". But unions welcomed the announcement following steel industry job losses. Roy Rickhuss, general secretary of the Community steelworkers' union, said: "We welcome the interest from Greybull in giving Long Products a future outside Tata Steel. "Of course, the devil will be in the detail of the deal and we will be seeking further discussions with both Tata Steel and Greybull to fully understand their intentions and the implications for steelworkers. "We welcome any credible investor who has a vision for a sustainable business and is prepared to invest for the future." There have been waves of job losses in the steel industry in the UK, which the sector has blamed on cheap Chinese imports and a collapse in prices. In October, Tata Steel announced nearly 1,200 roles to be axed in Scunthorpe and Lanarkshire. 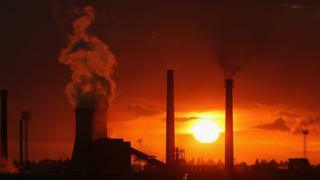 The negotiations will centre on Tata Steel UK's Scunthorpe steelworks, mills in Teesside and Northern France, Scottish mills in Dalzell and Clydebridge, an engineering workshop in Workington, a design consultancy in York, and "associated distribution facilities". The firm has about 4,700 employees in Long Products Europe, while Tata Steel Europe has some 30,000 employees, including about 17,000 in the UK. Greybull Capital, which says it makes long-term investments in firms, bought a majority stake in low-cost airline Monarch in October 2014. Staff agreed to 700 redundancies and pay cuts of up to 30% as part of a deal to save the Luton-based firm. Greybull Capital pumped £125m into Monarch as part of the deal. The BBC understands that the firm would probably not go ahead with a Tata Steel deal that did not have the backing of unions and the UK government. Negotiations, which will begin in earnest after the Christmas period, are expected to take about three months.